The big freeze is affecting all creatures - great and small - in different ways. Staff at Plymouth's Dartmoor Zoo had to smash through up to 5 inches of ice as the moat surrounding the big cat enclosure froze over. Curator, Colin Northcott, said the tigers could escape over the solid ice. 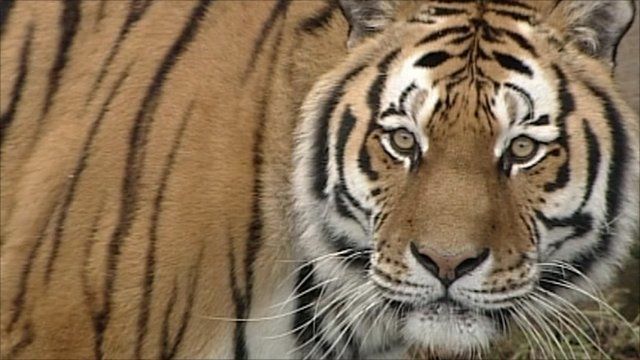 Over the weekend some of the animals which usually had free reign within their enclosures, including tigers and a jaguar, were kept indoors overnight to protect them from the conditions.